On Friday morning President Cyril Ramaphosa, Minister of Police, Bheki Cele and National Police Commissioner Khehla Sitole formally launched the anti-gang unit in Hanover Park, Cape Town. Hundreds of residents attended the launch at a sports field where Ramaphosa delivered an address shortly after a walkabout in Hanover Park where he interacted with members of the community. Cyril Ramaphosa, while launching an anti-gang unit in Hanover Park has acknowledged that the community has been living “under siege of criminals who have no regard for human life” and that many have lost their lives senselessly due to gang violence. To illustrate this, he relayed a story he had heard from a young teenager that morning who said that she had stayed away from school to speak to him about the plight children in Hanover Park face, especially those who are too afraid to walk to school. “She waited for me. She told me ‘I cannot walk to school safely. I am afraid that I will be kidnapped and raped or shot at. I want to go to school but (gangsters) are preventing us’. I assured her that today we are launching the anti-gang unit strategy and our police officers will be here to protect the community of Hanover Park,” said Ramaphosa. “We are not going to be silenced or intimidated. We want gangsters to be on the run… the threat from gangsters should not deter us,” said Ramaphosa. 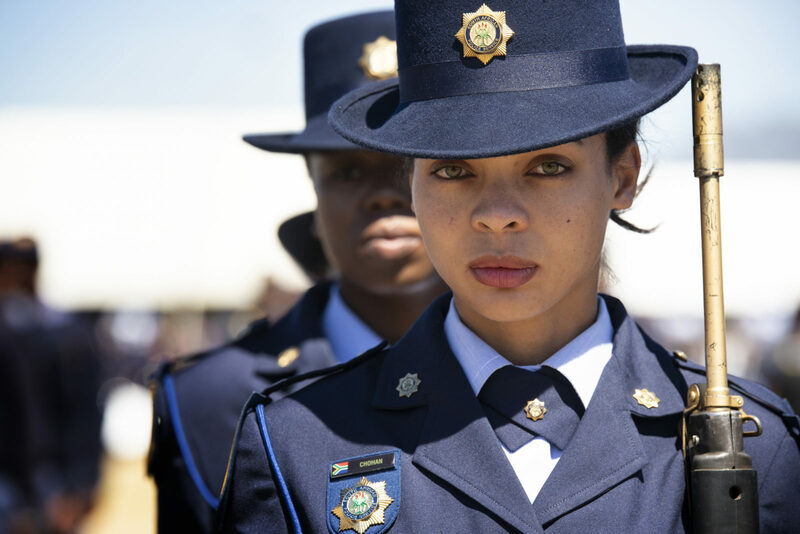 The anti-gang unit is made up of members from specialised units in the police service and whose focus is to weaken the capacity of gangs and to disable the criminal economy linked to gangsterism and drug and firearm supply lines. The police’s Brigadier Novela Potelwa told EWN yesterday that the anti-gang unit members who have been operating in the area have already made 50 arrests since their deployment on 8 October in areas including Bonteheuwel, Bishop Lavis, Lavender Hill and Nyanga. Dr Imtiaz Sooliman from Gift of the Givers gave a message of support during the proceedings and spoke about the night Gift of the Givers volunteer, Ameerodien Noordien, 19, was shot while caught in gang crossfire outside his home on the evening of Friday 5 October. “All that is good, all that is valuable, all that is spiritual died that night,” said Sooliman. “That young boy was symbolic of what was good in an area that had gone rotten,” he said. Noordien died instantly and four others were injured in the shooting. “We have seen your pain and also your anger…We are here to demonstrate to you we have heard you, we have listened to your pleas for help,” said Ramaphosa. Ramaphosa said government is committed to providing easy access to drug rehabilitation facilities and that his dispensation is dealing with the scourge of unemployment and poverty which fuels social ills and criminal activity. He voiced concern about the amount of children who were on the streets during his walkabout and said parents should be held criminally liable if they fail to ensure that their children are at school. “Education is a way out of gangsterism,” he said. Ramaphosa also announced that community members will soon be able to provide information anonymously to law enforcement on suspected gang activity. “Gangsters will know that members of the community are the eyes and ears of the police. They will know you are looking at everything they are doing and you will phone the police through this hotline. We are not yet there, but we are working on a hotline so that quietly you are able to give information, even if it’s a member of your own family,” he said. The Western Cape Government released a statement welcoming the deployment of the anti-gang unit in the province. “We have made consistent calls for the full reinstatement of Specialised Gang, Gun & Drug Units since their abolition in 2012. The drug floodgates opened in the wake of the disbandment of these units,” said Premier Helen Zille. According to the latest crime statistics, nine of the 12 stations with the highest number of murders are in the Western Cape. The province also had the highest increase in illegal possession of ammunition and firearms. Residents have reported not being able to go about their daily lives due to the regularity of gang violence and over the past few months communities across the country have taken to the streets to protest against gangsterism, gang violence and substance abuse. In some of Cape Town’s most notorious communities, including Hanover Park and Bonteheuwel, residents protested in September, shutting down major roads and being met with tear gas and rubber bullets. In Johannesburg, communities including Westbury, Eldorado Park and Ennerdale also took to the streets to protest against gangsterism and drug abuse. After the official launch, Ramaphosa handed over the first batch of 50 vehicles that will be deployed to gang-ridden areas.